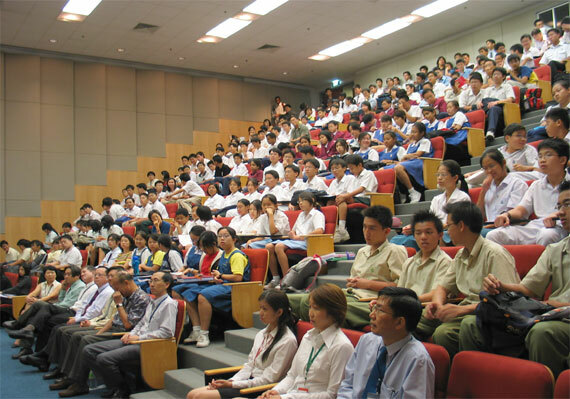 The Institute of Physics Singapore has sponsored many events in Singapore in relation to physics. 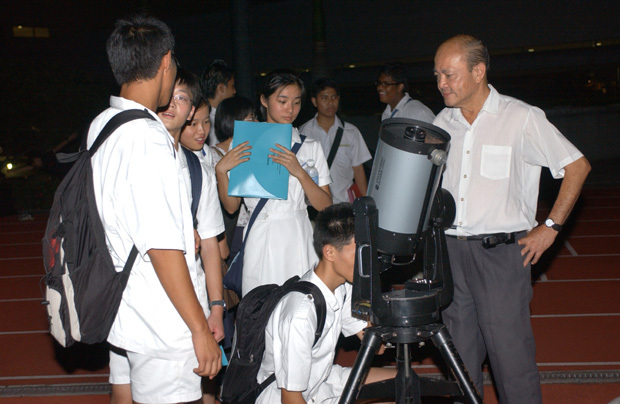 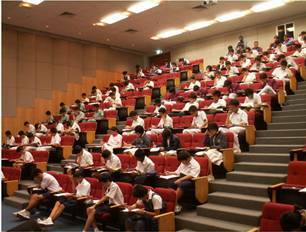 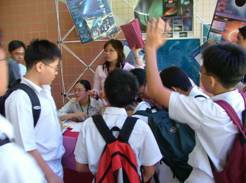 To date, more than 80 secondary schools have participated in the NYP Astronomy activities since 1995. 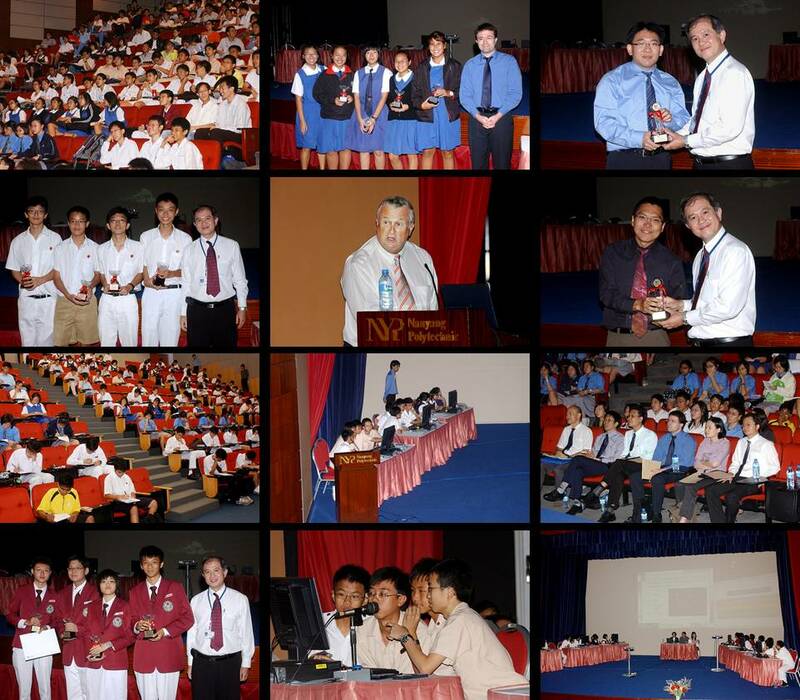 Professor Frank Watt from NUS CIBA Laboratory (Physics Department) was the specially invited speaker gracing this occasion, delivering an entertaning and inspiring talk to more than 350 student participants and teachers. 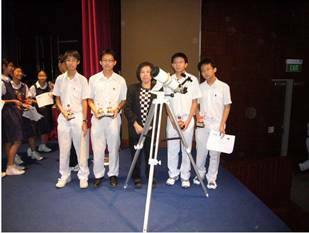 Dr. Jesse Goldman, Dr. Cindy Ng, Mr. Ong Yen Chin and Mr. Leek Meng Lee judged the final round, while Dr. Phil Chan, Mr. Chin Chee Leong, Mr. Andrea Dewanto judged the advanced astronomy round, and Mr. 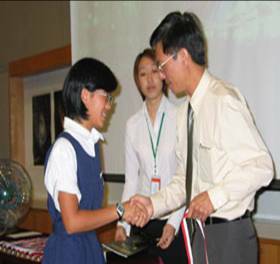 Au Mun Chew judged the creative astronomy segment. 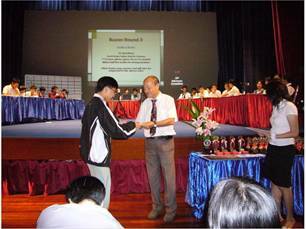 The IPS Prize of $200 was awarded to Bukit Panjang Government High School. 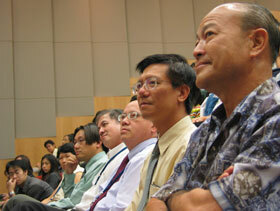 Dr. Phil Chan was the specially invited speaker for this event on the topic of Einstein's Universe. 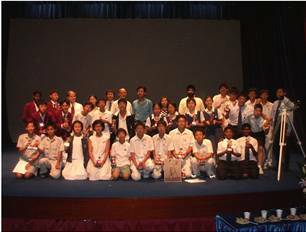 This event also commemorated the 10th anniversary of this prestigious competition. 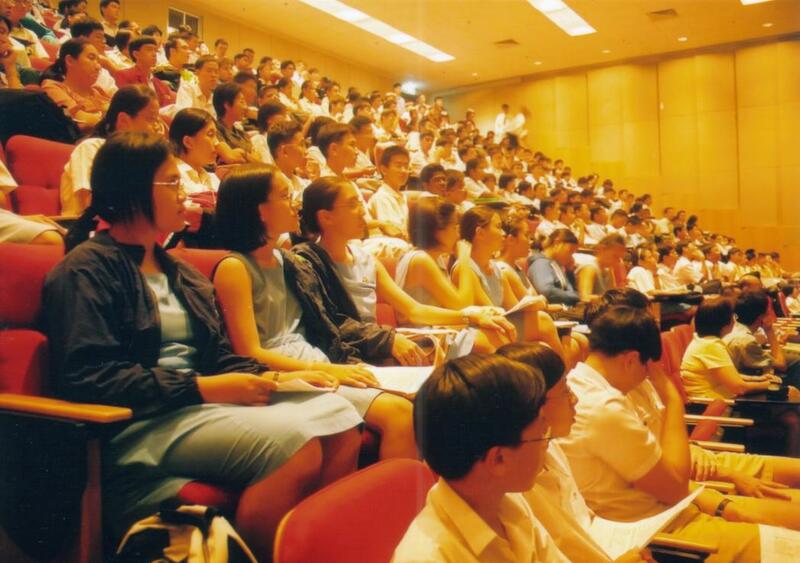 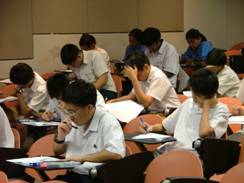 Raffles Institution emerged as overall champions, followed by NUS High School of Mathematics and Science, and Raffles Girls' Secondary School. 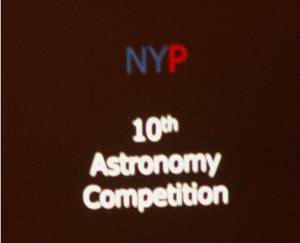 National Junior College took home the IPS Prize of $200 in the Advanced Astronomy competition segment. 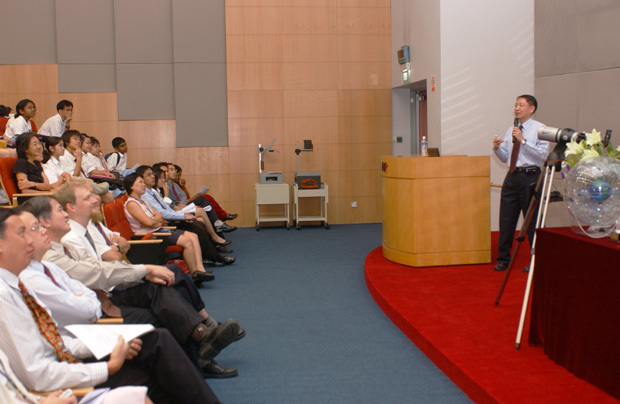 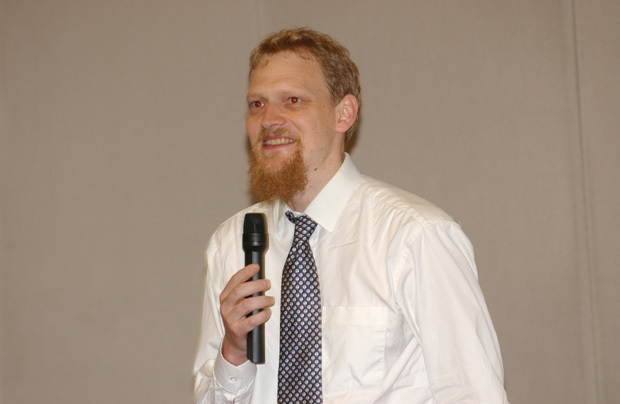 Assistant Professor Sow C.H. 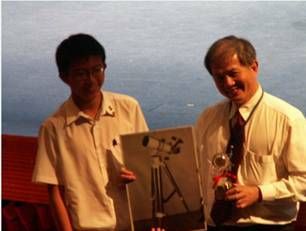 was the distinguished speaker at this event, which saw the participation of numerous secondary schools in Singapore, bringing together bright, enthusiastic young minds in an gathering of more than 250 budding astronomy talents. 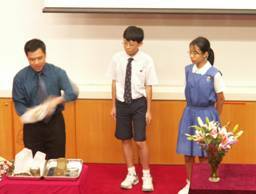 His deeply inspiring lecture and physics demonstrations were greatly appreciated by the students. 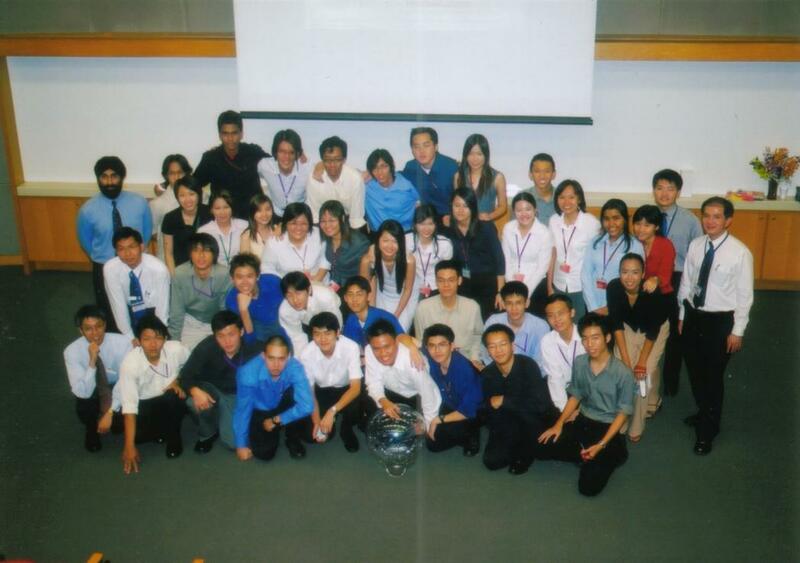 The champion team was Bukit Panjang Govt. 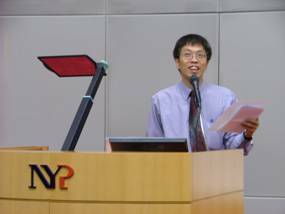 High School, which also received the IPS-NYP Prize Cheque of $200, followed by Raffles Institution and NUS High School of Mathematics and Science. 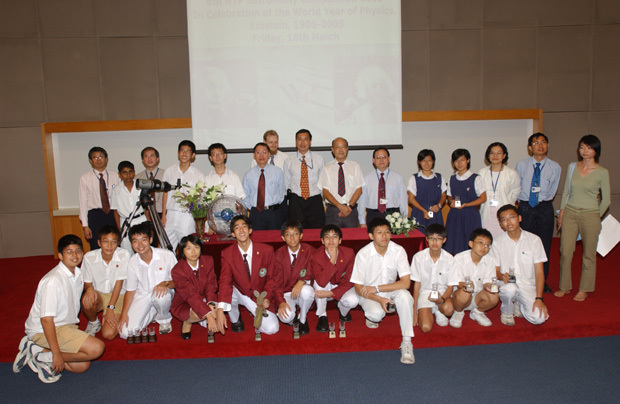 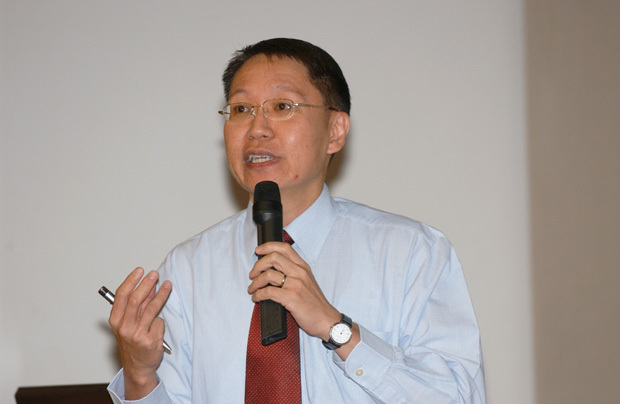 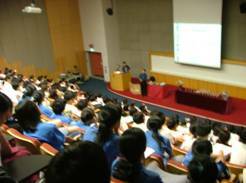 IPS council chairman, Professor Andrew Wee and other IPS fellows, Professor Alfred Huan and Associate Professor Christian Kurtsiefer, gave insightful lectures into the wonderful world of physics at the Nanyang Polytechnic (NYP) Astronomy Quiz 2005. 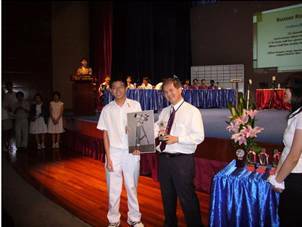 IPS also sponsored the prize money of SGD $200 for the main quiz event, which went to Bukit Panjang Government High (1st). 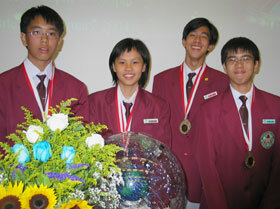 Raffles Institution and Victoria School emerged 2nd and 3rd respectively. 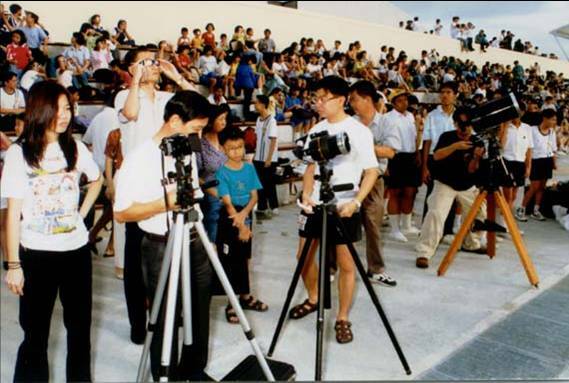 IPS sponsored the night's events, of the 7th NYP Astronomy Quiz 2004, held at Nanyang Polytechnic. 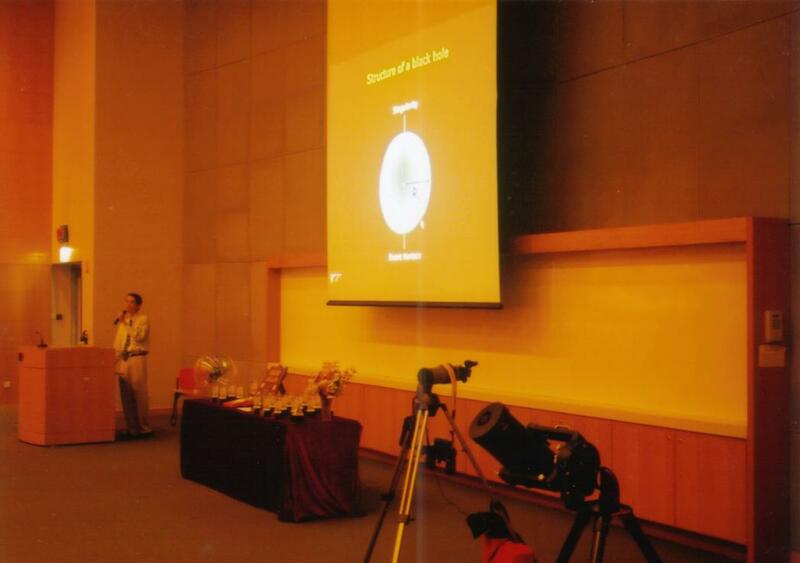 Associate Professor Kwek L. C. gave an astronomy talk. 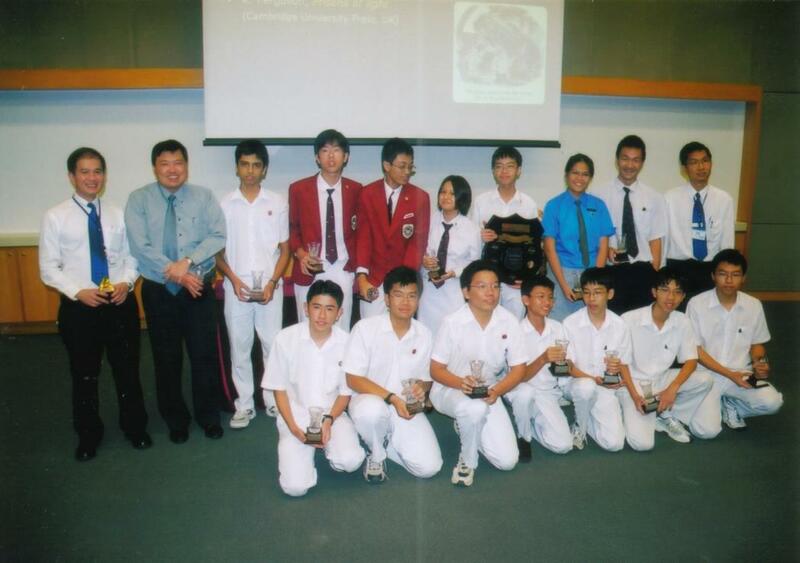 The champions were Bukit Panjang Government High School. 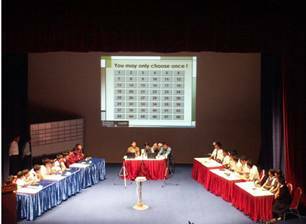 Raffles Institution and Victoria School emerged 2nd and 3rd respectively. 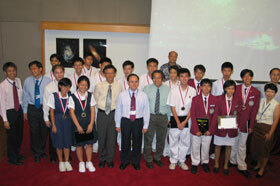 The 6th NYP Challenge Shield & Astronomy Competition was held on Friday, 21 Febuary at Nanyang Polytechnic. 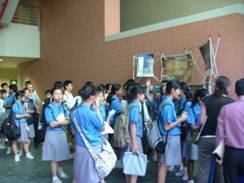 24 schools participated in the competition and Bukit Panjang Govt. 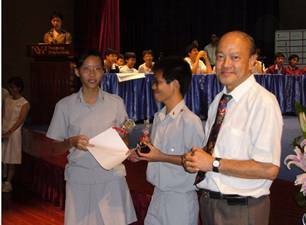 High School was the winning team, while Raffles Insitution and Victoria School finished second and third places respectively in the competition. 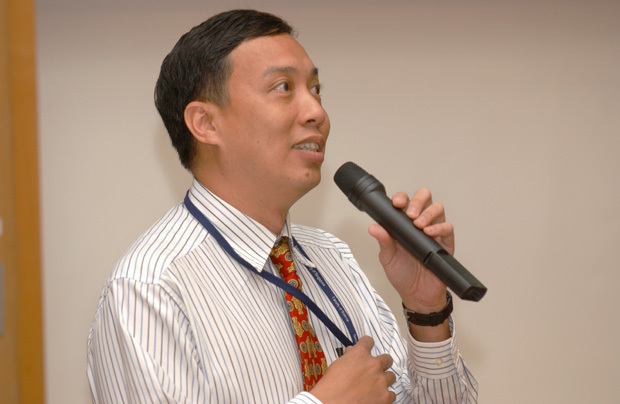 Associate Professor Edward Teo entertained the participants by giving a talk on astronomy and black holes. 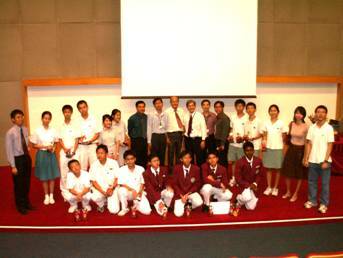 Bukit Panjang Government High emerged champions; Raffles Institution and Victoria School emerged 2nd and 3rd respectively.